Young or old, it’s time to teach your dog some new tricks. From basic commands, such as “sit” and “stay,” to the more complex “roll over,” we use obedience training to teach our dogs to be good listeners. This keeps you and your dog safe when out in the world, and it can help eliminate some behavioral issues that almost inevitably come with most dogs. Choose K9 & You for an exciting, fun classroom setting for you and your dog. Our training approach is based on a communication system where the dog understands if they are doing something right or if they are doing something wrong, which then reduces stress and anxiety in your dog. Dogs at the dog park seem to be much more interested in each other than their humans. How can you turn your dog’s attention back toward you when you call? We teach proper listening and recall skills to keep your dog close and excited to be near you. Most of our obedience training classes are in groups. We do this to assist with socialization, as well as giving dogs the opportunity to choose their owners over other dogs. Your furry friend will learn how to interact properly with all kinds of other dogs in their class. Training is hard work! Teaching your dog new tricks is a sure way to wear them out both physically and mentally, meaning you’ll have a well-behaved and tired dog on your hands when you go home. Maintain consistent training and skill development to keep your dog engaged and excited. 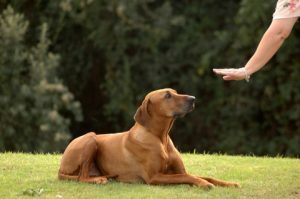 Choose obedience training from K9 & You. We look forward to working with you, as well as setting both you and your dog up for success.